The role of al-Maqr|z| in the historiography of the Fatimids is immense; he looms so large in fact that what he wrote often seems to overwhelm all other sources of information about them. Regardless of how one assesses his strengths and weaknesses as a historian in other respects, his contributions in this one area remain critical in any reconstruction or assessment of Fatimid history. Moreover, if he offered nothing other than the preservation of older sources, that would be enough. He provides a mass of material where little else exists.1 And several sources not by him nevertheless depend on him. For the study of the Fatimids, where so few works survive, especially for Egypt, those that we know because of his efforts stand out. One prime example is what remains of the Egyptian historian Ta≠j al-D|n Ibn Muyassar’s History of Egypt (Ta≠r|kh Mis ̋r). 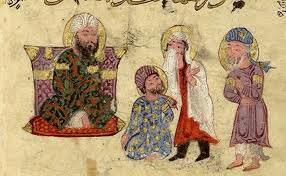 Ibn Muyassar’s dates are 628–77 and thus he precedes al-Maqr|z| by over a century and a half. Thought by many to have been the most important work on the Fatimid period before al-Maqr|z|, it has long been known that this chronicle was al-Maqr|z|’s main source for the reconstruction of a major period—a fact easily demonstrated by comparing the surviving text of Ibn Muyassar with al-Maqr|z|’s Fatimid history, the Itti‘a≠z ̋. But in fact, what we possess of Ibn Muyassar is merely a set of detailed notes taken from the original by al-Maqr|z| himself in the year 814. It is not in all likelihood a verbatim transcription. The surviving manuscript is, moreover, only a copy of those same notes.